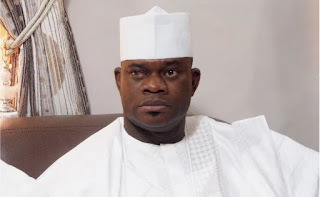 There appears not to be no headway in the negotiation between the Kogi State Government and Labour unions as the meeting recently held by both parties ended in deadlock. The said meeting, called by the Kogi state Deputy Governor, Elder Simon Achuba, had in attendance Senator Smart Adeyemi, Speaker Kogi State House of Assembly, Mathew Kolawole and other members. Also in attendance at the meeting are 10 members of the labour union led by the chairman of the Joint Negotiation Council, (JAC) Comrade Ranti Ojo, Kogi State Commissioners for works, Finance and the Director of Labour in the Federal Ministry of Labour and Employment. After much deliberation on issues that led to the industrial dispute, the leader of the State Government delegation, elder Simon Achuba appealed to the labour leaders to call off their over six-weeks old industrial strike, which has paralysed government activities and has become a great concern to stakeholders in the state. The Deputy Governor assured the workers of the commitment of government to her financial obligations to the workers adding that, the current administration inherited a huge debt incurred by previous administrations. According to Elder Achuba, the debt must be serviced and that has grossly affected the financial fortunes of the state government. With the expectation that both parties will reconvene later this week in a bid to reach a truce, they both agreed to take decisions reached back for extensive consultations and deliberation and come back with a position, which will be geared towards resolving the industrial dispute. The union is demanding among other issues, that the government pay earned salary arrears of civil servants in Kogi State. In a related development, Speaker Kogi House of Assembly Prince Mathew Kolawole has tasked its ad-hoc committee on the intervention on industrial disputes in the state to urgently see to the resolution of the industrial action between workers and the State Government. The speaker gave the charge during Wednesday plenary at the assembly complex in Lokoja. He said the house was expecting the committee’s report so as to serve as a guide when discussing the matter on the floor of the hallow chamber. While giving the committee two days to submit its report, the speaker charged them to work assiduously to ensuring that the industrial dispute was laid to rest and workers returned to work. Earlier chairman of the ad-hoc committee and member representing Okura Constituency Hassan Abdullahi explained that the committee met three times with the striking workers and government but was yet to come to conclusion on the matter. He assured the house that the committee was working round the clock to resolve the impasse.